After the opening six weeks of the 2019 USL Championship campaign, just five teams remain unbeaten in league play. In the Eastern Conference, there are traditional playoff contenders in the New York Red Bulls II (who have played just four games) and the Tampa Bay Rowdies. In the West, we have 2018 USL Cup finalist Phoenix Rising FC, upstart expansion side New Mexico United and Fresno FC. Honestly, there are no surprises here. Some of you may not have seen Tampa Bay turning things around so quickly or New Mexico setting a new standard for Championship expansion teams (all I can say is I warned you), but the odd name out on this list to most of you is Fresno. And it shouldn’t be. The Foxes have been flying under the radar since joining the league as an expansion team in 2018. While the club may not have made the first impression that New Mexico has – the Foxes won just twice in their opening 12 matches – it has shown the ability to hang around with the big boys. In a three-game stretch last summer, Fresno picked up decisive home victories against Western Conference frontrunners Sacramento Republic FC (2-0) and Rising FC (4-0) and sandwiched a 4-2 road win over the postseason-bound Portland Timbers 2 in between. 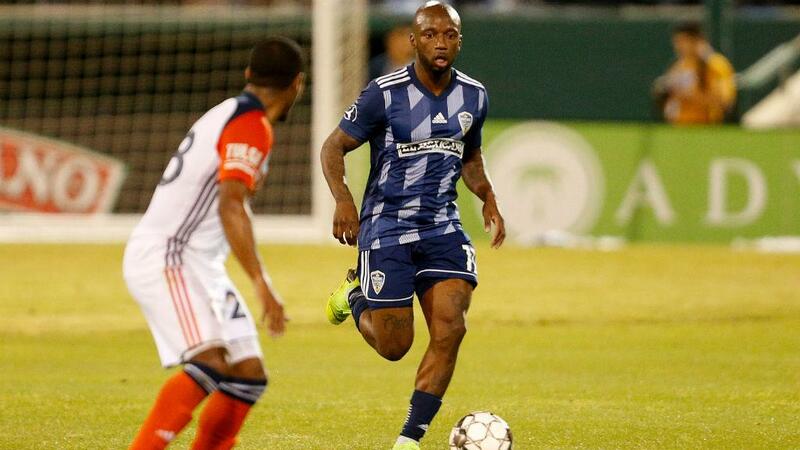 Also amongst the Foxes’ nine wins were fellow playoff sides Saint Louis FC and the Swope Park Rangers but Fresno struggled to pick up three points against the bottom teams in the table. The club’s 12 draws tied for the second-most in the West and proved to be a case of too many points dropped to sustain a push for a postseason berth. However, Head Coach Adam Smith’s side produced the metrics to suggest there was hope for a sophomore surge in 2019. Fresno had one of the league’s sturdier defenses last season, conceding just 38 goals in 34 games, and scored 44 times to give it a goal differential of plus-6. The Foxes were the only team with a positive goal differential in the West to not make the postseason and interestingly posted the exact same number of goals for and against as Saint Louis, which finished the year 14 points better and in the eighth and final playoff spot. After an offseason that saw the club bring back last year’s leading scorers Juan Pablo Caffa and Jemal Johnson (nine goals each) and add attacking talent in the form of former Red Bulls II midfielder Arun Basuljevic and Brazilian forward Jackson, the Foxes are starting to add a clinical nature to their resolute defensive performances. Take this Saturday’s 3-1 home victory over Tulsa Roughnecks FC as an example. The Roughnecks, who entered the week atop the West, held the majority of possession and recorded more shots on target (5-4) but were undone by the quality of Fresno’s attacking play. Johnson opened his account for the season in his own inimitable style with a stunning long-range strike in the first half to give the Foxes the lead. He then doubled his tally just shy of the hour-mark with an unstoppable volley after a corner kick to essentially seal all three points. A year ago, the Foxes probably don’t win that game. In fact, in the exact fixture last season, Fresno hit the target more than Tulsa (6-4) but settled for a 2-2 draw. While that is more of a one-off comparison, the underlying statistics show the same improvement. In 2018, Fresno had the fifth-worst shot conversion rate in the league at 11.25 percent but has already improved that number to just over 15 percent this season. While that may not seem like much, it would likely rank the Foxes in the top half of the league if they could sustain that rate over the entire season. Since the side ranks in the bottom third of the Championship with 7.6 chances created per game so far this season, maximizing the offensive output from those opportunities will be key to Fresno’s postseason chances. Away draws against fellow unbeaten sides New Mexico and Phoenix – especially the performance against Rising FC with 10 men – show that the Foxes still have what it takes to hang with top teams, while wins against Tulsa and Rio Grande Valley FC point towards an improvement that could see Fresno reach the USL Cup Playoffs for the first time. We’ll have to wait and see if Fresno can keep it up, but there’s one thing that’s for sure.